Welcome to the Biannual Blogathon Bash – January 2015, hosted by Kathleen Garber! I’m so excited to have another opportunity to make my blog a better place to visit as I network with other amazing bloggers this weekend! If this is the first you’ve heard of the event – or if you’d like to join us – be sure to visit the Biannual Blogathon Bash blog for more information and to sign up! There’s a reason that this event is popular – it’s fun, it’s informative, it helps you to connect with other bloggers, and it helps you to improve your blog! Create my 2015 Blog Plan. Download photos from my phone. Add new photo(s) to Instagram account. Attend one or more Twitter parties. Connect with other participants – facilitated by my new link-up list below! Complete a few administrative tasks. Sound daunting? Now you know why I look forward to this event! January 2015 Biannual Blogathon Bash – Accomplishments? What did I accomplish at this event? I’ll be updating this list throughout the weekend so stay tuned to see how I did! Wrote Biannual Blogathon Kick-Off Post. Researched and updated a blog post. Participated in 2 Twitter Chats. Added new photo to Instagram account. 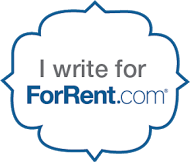 Wrote Write On Review-A-Thon post. Wrote New Book Review: Hungry For God…Starving For Time. Wrote Mini Teriyaki Meat Loaves Recipe post. Wrote Grow Your Blog Party 2015 post. Attended 2 Blogathon Bash Twitter Parties. Wrote Inspire Me Monday post. Designing 3rd card (3/4 completed). Completed a few administrative tasks. The January Biannaual Blogathon Bash is officially over. What a wonderful event this has been! As I look over my Goals list, I accomplished just about everything I set out to do this time round. The only thing that remains from my list is to create my 2015 Blog Plan, which isn’t as bad as it sounds, since it exists in several files and places (it’s been a work in progress for the past few months) – I really just need the time and space to formally pull the pieces together. I’m excited to learn that I won a 1 year subscription to iBlog Magazine as a result of participating in this year’s event! I am really excited about this prize and will be claiming it as soon as I figure out whether I want to receive the magazine in print or digital format. Thanks to everyone who made this event a success – Kathleen – her team – and all of the participants who took the time to visit and chat with me this weekend! I hope you’ll mark your calendars and plan on joining the fun! Please take a moment to follow my blog and social media accounts (particularly my new Instagram account!) and leave a comment. I’ll be sure to return the favor! Please join us each week for one of my weekly parties: Inspire Me Monday, Wordless Wednesday, Friendship Friday, and/or the Book Nook at Create With Joy. It’s wonderful to be a part of our community! Please share your Biannual Blogathon post in the link below. That will make it easier for my readers and I to connect with everyone who takes the time to visit us this weekend! I wish you a productive weekend and can’t wait to see what you accomplish at the first Biannual Blogathon Bash of the year! January 2015 Biannual Blog Bash Participants – Link Up! Thank you for taking the time to visit Create With Joy this week! Please leave a comment and share your 2015 Biannual Blogathon Bash goals so that we can be a mutual support to one another this weekend and throughout the year! Wow – what a great set of goals! I wish mine looked like that! I decided not to stress myself out this year so I have a small set to stretch out over 3 days. Minus the mini-challenges, I plan on finding new ways to gain more social media followers, pitching at least 4 companies, drafting and scheduling posts for next month, and organizing (finally!) my Pinterest boards. Your goals sound fab to me Angela! I had planned to add Pinterest to my list but totally forgot – but that’s fine, considering I have plenty to do without it! Challenges like these are one of the biggest reasons I have been able to keep moving towards my goals. LOL”Have a happy weekend between your plunderings! Hi, I like your blog! I’m 7 and this year I’m participating in the blogathon. I really like the picture of your 2 cute cats! I like your website! Bye!!! I’m working on finalizing my goals and plans for 2015 this weekend too! I need to finish up my Blogging Binder that I’m behind on setting up, so I can actually get organized again! Good to see you on this challenge again. You certainly have a lot of things to be done or have already started on this weekend. I have yet to be started and only just put my kick off post up 🙂 Will have to do catch up this weekend. Your goals look great, Thanks for sharing and I look forward to hearing about them all.